Grace and Tina are using their musical talent to change lives in Africa. Tina and her daughter Grace have done Live With a Purpose since the beginning and we’re so happy they’re joining us once again! 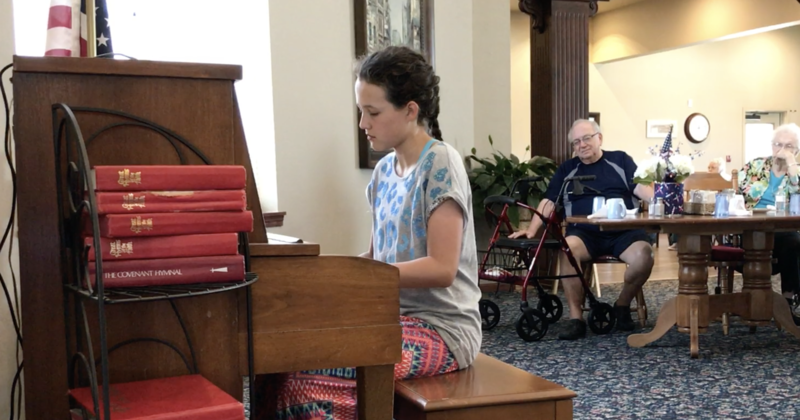 Grace and her mom will be bringing joy to others while creating beautiful memories as they play piano at assisted living centres, with all proceeds going to their “Passion for Piano” campaign. Grace has been playing piano by her mother’s side since she was three years old and they inspire each other through music. presence, brought to the residents. Live With a Purpose offers people the chance to do what they love while changing the lives of others, with 100% of all donations to Grace and Tina’s fundraiser going directly to our humanitarian projects. Please donate today and help Grace and Tina reach their Live With a Purpose goal and bring lasting change to those communities in desperate need of our support.